I give it a strong 8. Dawn loved it, too, though Lauren and her friends were a bit harder on it. "More backstory," they opined. I don't disagree with that assessment, but do wonder whether it will come...or not. At this point, I don't see them circling back around to tell us lots about Uncle Ben. 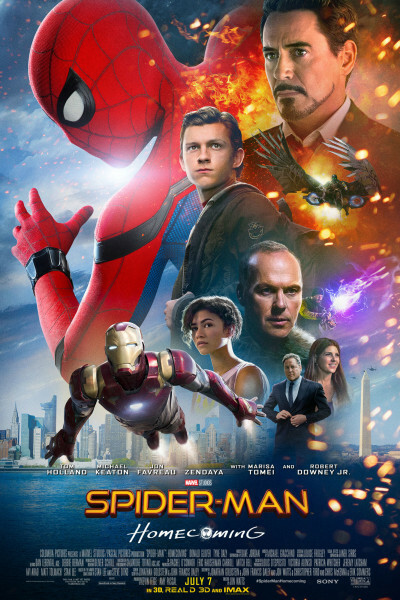 If you like Spider-Man, I think you'll love it. And if you don't, I still think you'll enjoy the heck out of it, if only because Downey and Favreau have lots of chirpy banter back and forth that's entertaining in and of itself. Spider-Man: Homecoming is fun, funny, and rather electric.